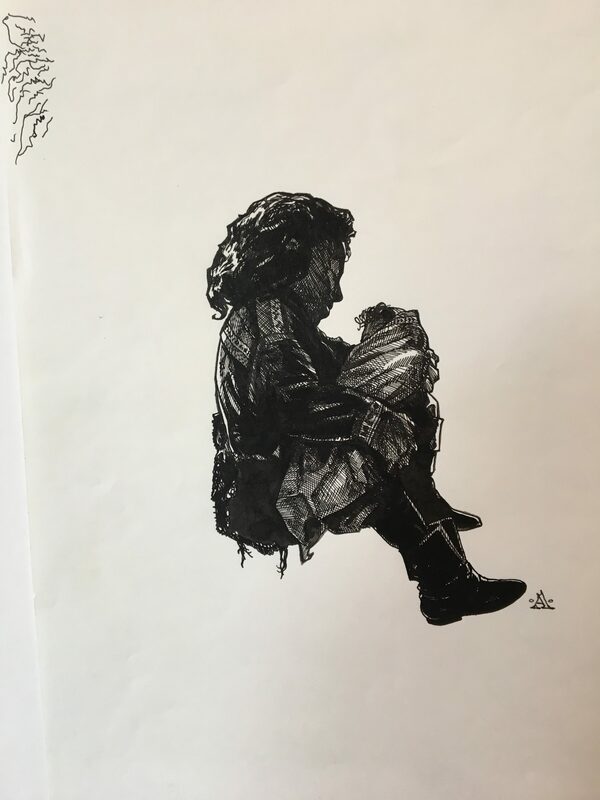 Willow Character Study Holding Elora Concept Art Pen on Paper by John Alvin is production art of Ron Howard's 1988 classic. John Alvin, famous film illustrator behind the posters of E.T., Blade Runner, and 200 other films, also painted the posters for Willow. 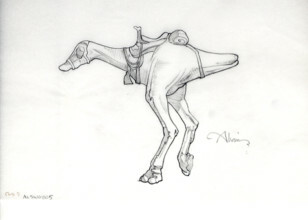 While he worked on the project, John Alvin created concept work for the film. 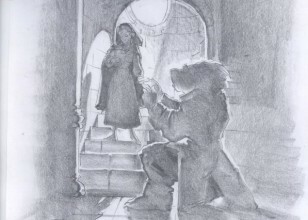 This is one of those pieces of concept art of Willow. This pen character study of Willow is captivating and fantastic. 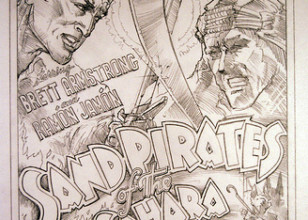 The detail John is able to achieve with the pen is nothing short of remarkable. This piece is signed by John Alvin.